A very intricate Christmas jumper detailing Santa’s struggle down the chimney. Specification:A very intricate Christmas jumper detailing Santa’s struggle down the chimney! 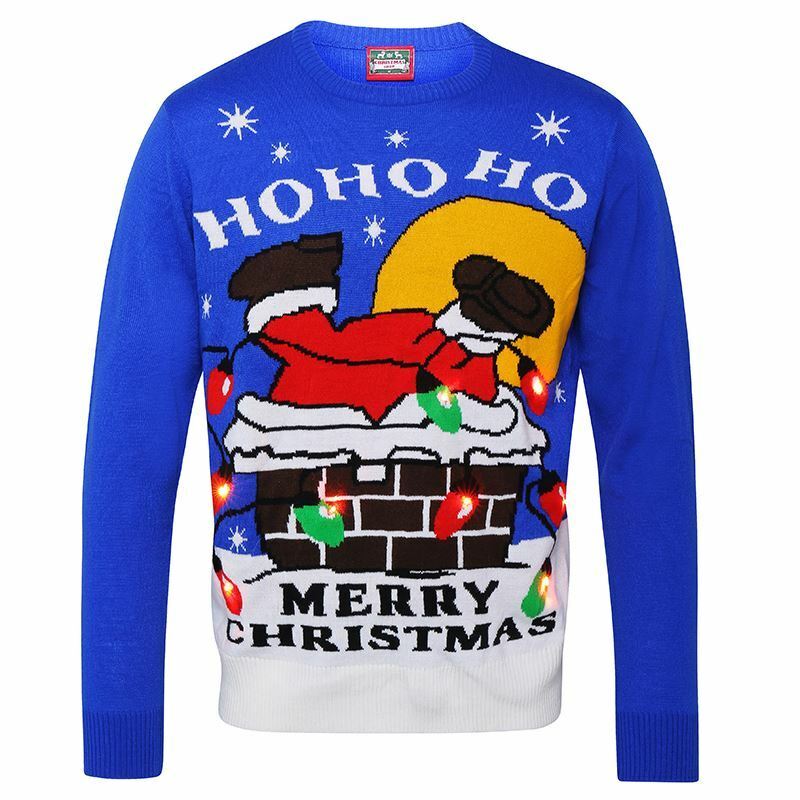 Inscribed with a traditional, ‘HO HO HO MERRY CHRISTMAS’ message, this jumper lights up at the flick of a switch and makes for a fantastic novelty jumper for men and women. SKU: N/A Brands: Jul 2017.